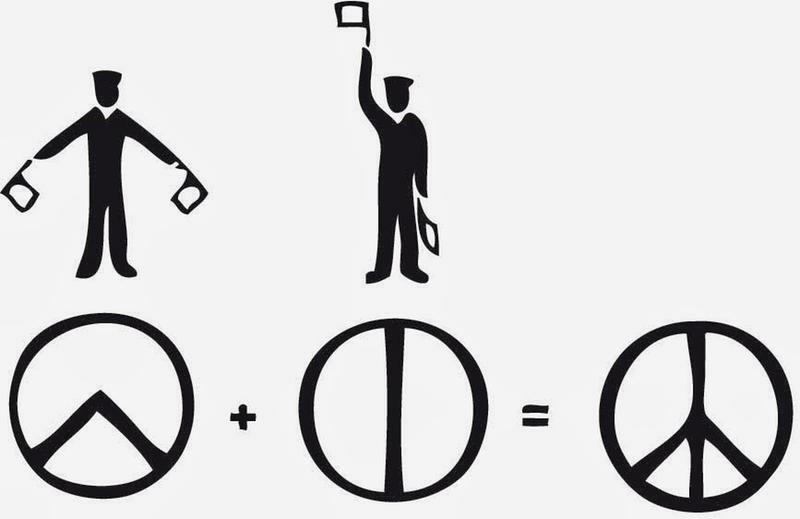 We're all familiar with the peace symbol -- but where did it come from? The instantly recognizable circular motif, with lines inside it that look a little like a bird's footprint, that we call the peace symbol or peace sign, has been ubiquitous since the 1960s, on patches, flags, posters or t-shirts meant to convey a message of harmony, understanding, and non-violence. 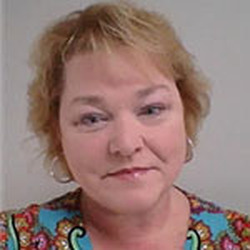 Humans have always advocated for peace -- while it may be human nature to quarrel and wage war, it is also, surely, human nature to make amends and get along. Over the centuries, numerous emblems for peace (defined as "a state of mutual harmony between people or groups, especially in personal relations") have become commonplace: an olive branch, a dove, a white rose or poppy, a broken rifle and the “V” are all universal signs symbolic of peace. We've also got countless expressions to convey peace: bury the hatchet, turn the other cheek, make love not war. But the simplest and most universal sign of peace is this strange round glyph that everyone seems to recognize. Where the peace symbol came from is less well known. Throughout the counterculture era, protests were a common and effective way to shed light on a specific cause. Political, social, and civil rights marches and protests were rampant the U.S. in the '60s and '70s. 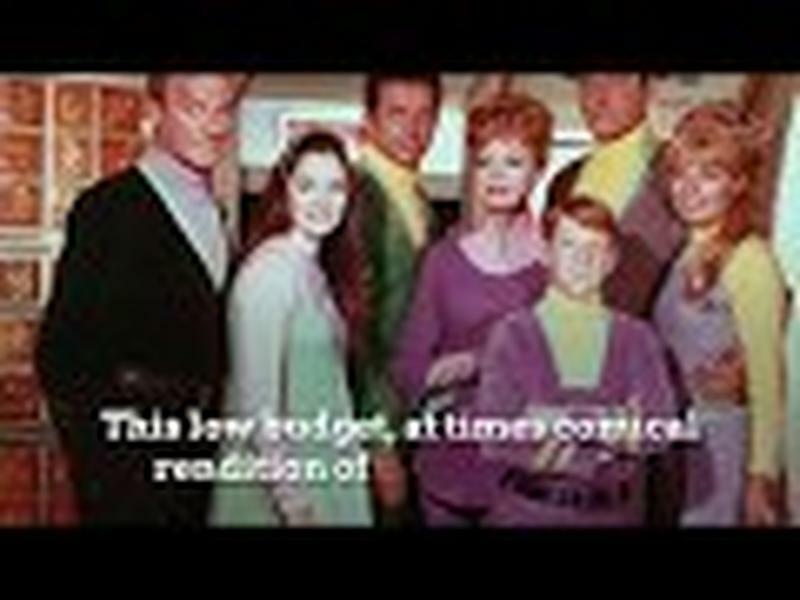 People from all walks of life, no matter what the cause, were displaying the iconic peace symbol during these displays. It seemed that no matter what issue the protestors were plugging, peace seemed to be a common goal. The peace sign or symbol originated in Britain. A graphic artist named Gerald Holtom designed the now famous symbol in February 1958. It was to be used to symbolize an aversion to and a protest of nuclear arms. 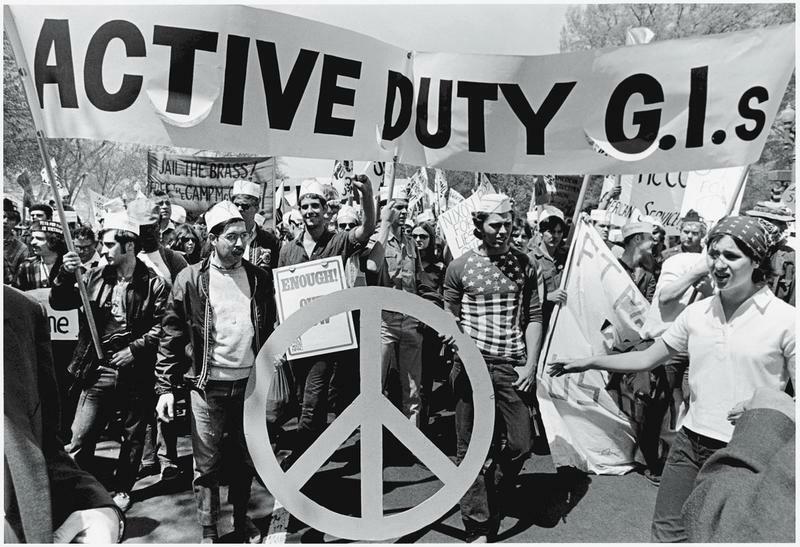 The peace sign made its debut on April 4, 1958, at a rally sponsored by the Direct Action Committee Against Nuclear War. Signs featuring this iconic symbol were mass produced and held aloft on sticks for a 52-mile march from London to Aldermaston. 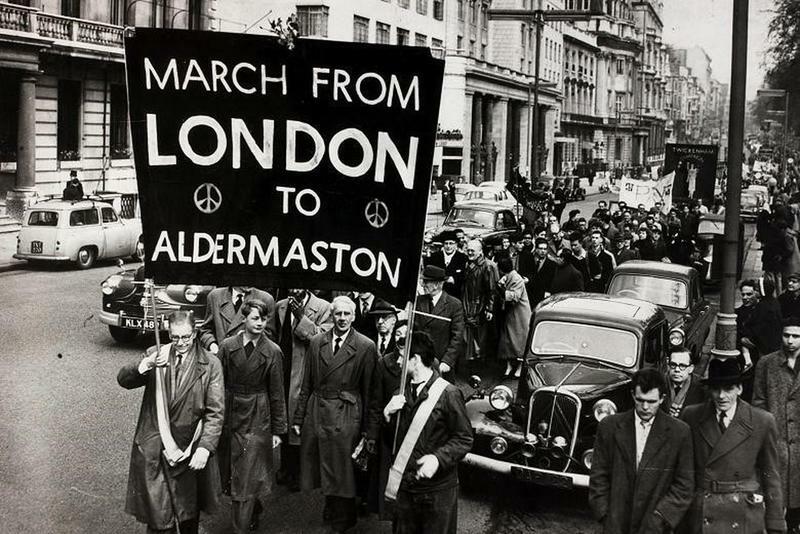 Britain had come to associate the peace sign with that particular campaign for Nuclear Disarmament. The Symbol Contains The Letters 'N' and 'D' for Nuclear Disarmament. You See It, Don't You? The peace sign was designed with the idea of flag semaphores in mind. Flag semaphores are a form of visual communication over distance using hand-held flags. If you have ever been to the beach, you may have seen lifeguards communicating this way from station to station. The design of the peace sign is unapologetically simple. It consists of a simple circle with three lines drawn inside. The lines inside the circle are simplified representations of a person holding two flags and signaling each letter in semaphore. Pointing the two flags away from either side of the body, toward the ground at a 45-degree angle, transmits the letter "N" in semaphore. A "D" is conveyed by holding one flag straight up and one flag straight down. 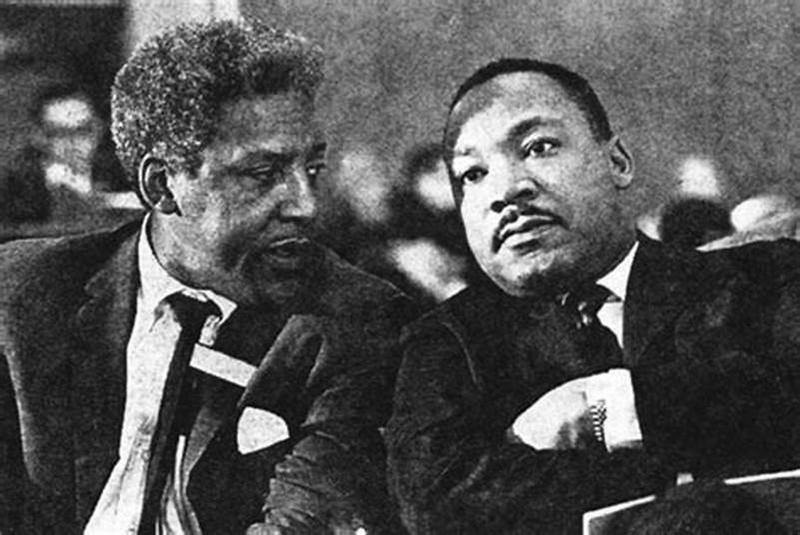 A civil rights leader and ally to Dr. Martin Luther King, Jr. named Bayard Rustin had attended that British rally in April 1958. 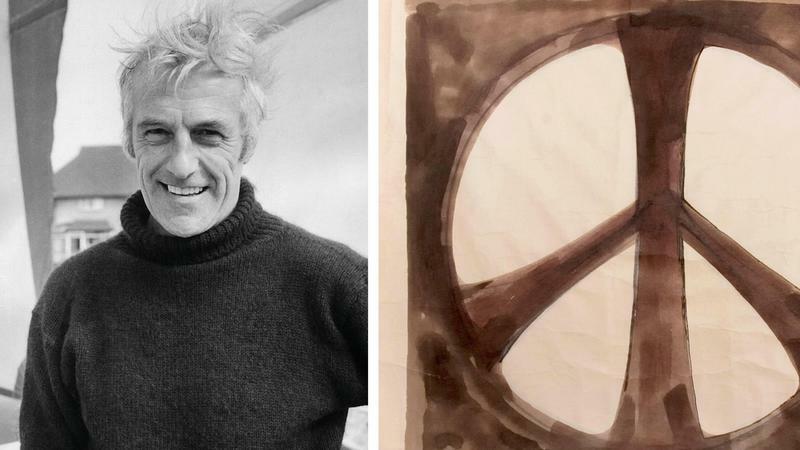 He was so impressed with the powerful symbol used in Britain’s political protest that he introduced it in civil rights protests and marches in the U.S. in the early '60s. 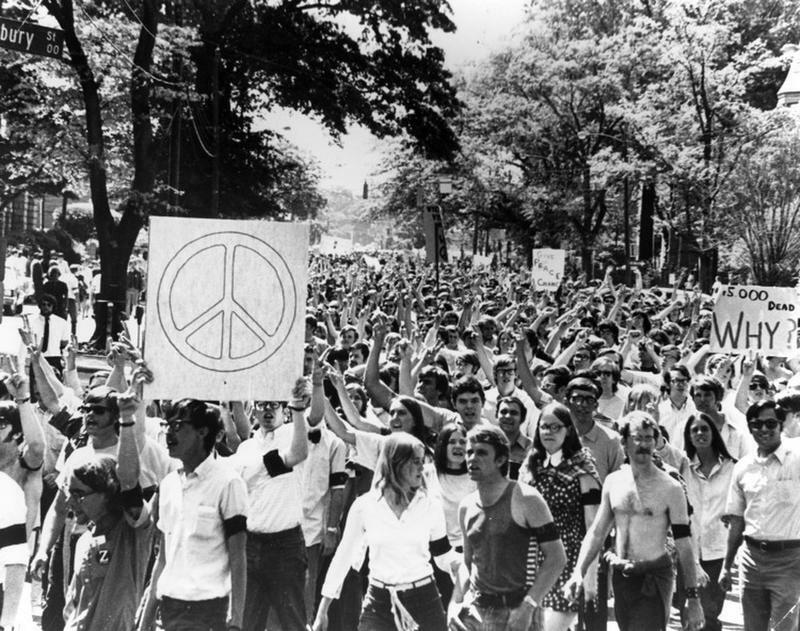 By the end of the decade, the peace sign was present in demonstrations and marches protesting the Vietnam War. 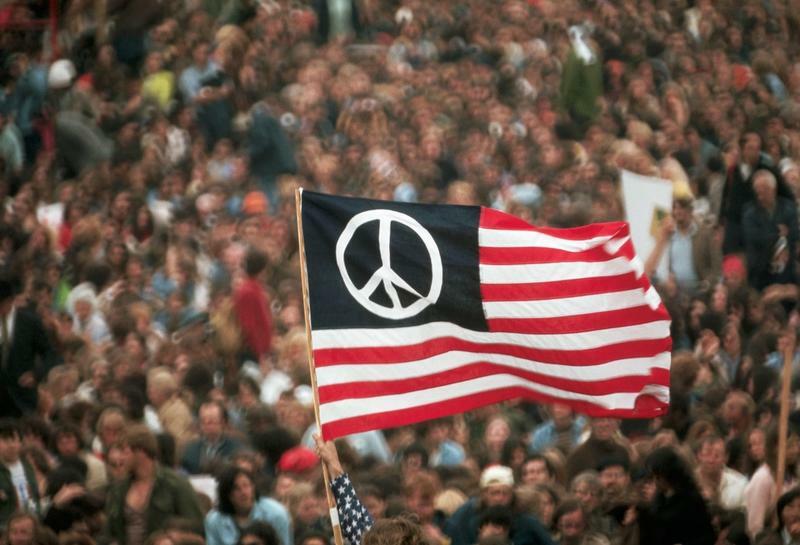 Before long, the peace sign became omnipresent in American culture during the anti-war protest era. The Iconic Peace Symbol Belongs To Everyone. Right On! Hippies comprised a huge demographic of protesters during the groovy era. 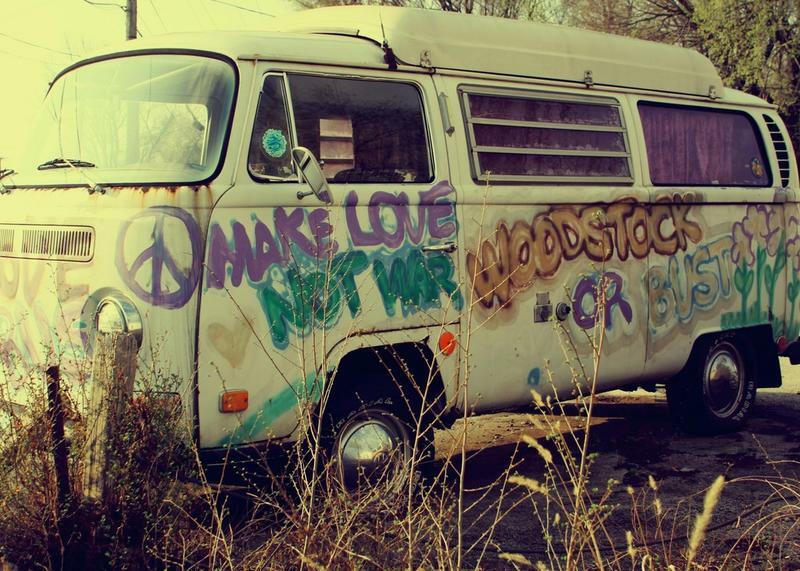 For that reason, the peace sign is often associated with the counterculture generation and mindset. The peace sign became so well-known in the U.S. during that time that it is symbolic of the entire '60s and '70s era. This humble sign is available for anyone’s use to further a peaceful cause. It was intentionally never trademarked so that anyone in the world could use its likeness for any reason. This is significant in that the concept of peace and harmony does not belong to any one person. The peace sign is a universal symbol that has attained international significance over the years. It may have originated across the Atlantic, but it is here in the U.S. to stay. Wherever there is a plea for peace and harmony you are likely to see it. The peace sign is known as an effective way to convey and promote peace worldwide which doesn’t require peace seekers to speak the same language. It is a language in and of itself.